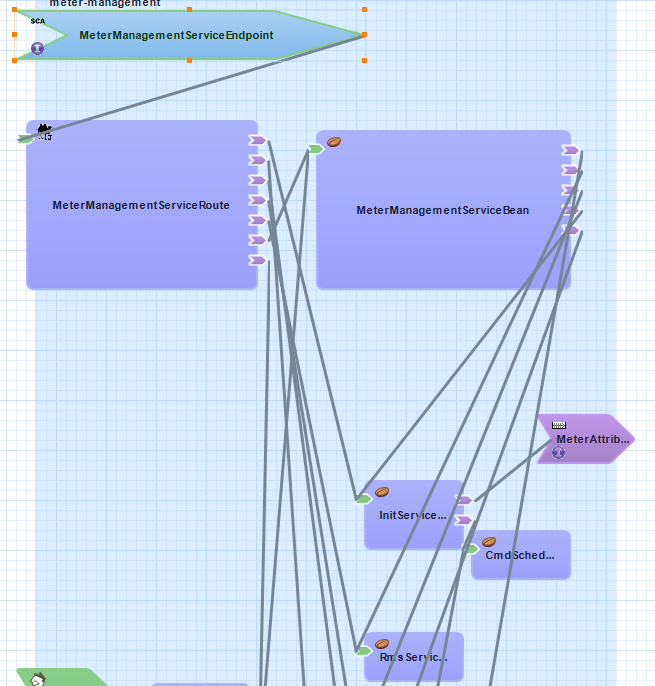 From "x" service the "MeterManagmentService SCA" is called and then the "MeterManagementServiceRoute" which is Apache Camel route.. 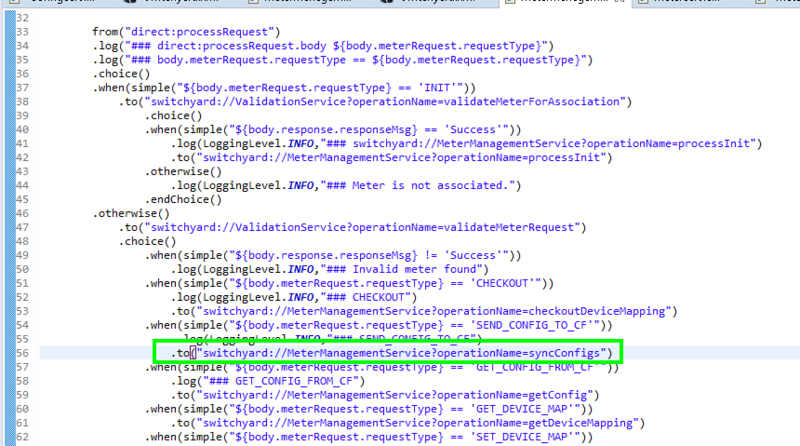 Inside my route I have this kind of logic which is not difficult to understand..
".to("switchyard://MeterManagementService?operationName=syncConfigs")" is not executed (but got the text ### SEND_CONFIG_TO_CF). In my "MeterManagementServiceBean" I have a method "syncConfigs(..)" and have put some logs inside.. 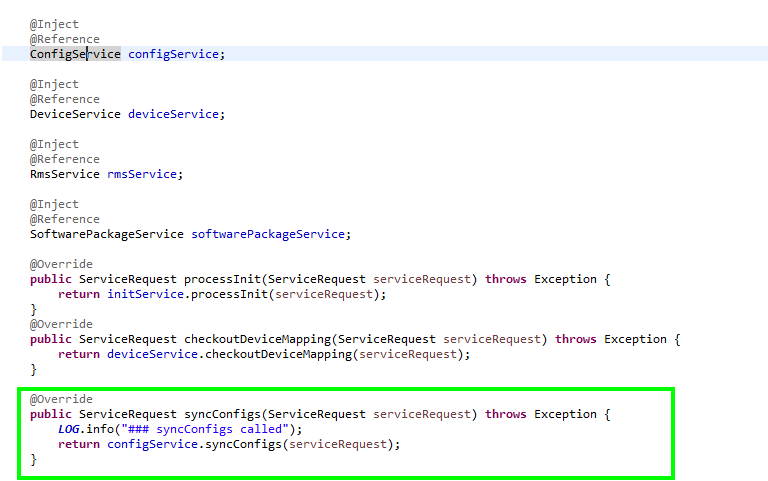 When I try to invoke the service I don't get back the log from "syncConfigs" method. Is like the method is not called from the Camel Route code. (In my log's I can't find the word "### syncConfigs called"). Is something I have missed? How to locate the problem? Is there a way to debug the Switchyard?